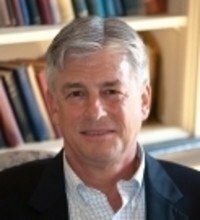 Edwin G. Hurley is the senior pastor of South Highland Presbyterian Church in Birmingham, Alabama. He is currently in his fifteenth year of service. A graduate of Vanderbilt University, Princeton Theological Seminary (’81), and Fuller Theological Seminary, he previously served churches in Tulsa, Oklahoma, Monroe, Louisiana, and Bowling Green, Kentucky. He is active in his presbytery, and serves as the board chair of the Outreach Foundation, which coordinates international mission work with the PCUSA and several other Presbyterian bodies, and is on the advisory board of Beeson Divinity School.